A symmetrical face is considered beautiful, unless both sides have identical nonfunctioning noses. Finesse your face with this Groupon. This is a limited 1-day only sale that will expire tonight at midnight (Friday, March 8, 2019). Promotional value expires 90 days after purchase. Amount paid never expires. Single bookings only. Not valid for mobile service. Appointment required. Subject to availability. Limit 1 per person, may buy 1 additional as gift(s). May be repurchased every 30 days. Valid only for option purchased. Not valid with other offers or promotions. Merchant’s standard cancellation policy applies (any fees not to exceed voucher price). Merchant is solely responsible to purchasers for the care and quality of the advertised goods and services. Satin pillows dyed the colour of rose petals line a black banquette covered in velvet damask, below which bubbling footbaths sparkle in the light of the crystal chandelier above. This is Luxe Beauty Lounge & Mobile Spa, a spa that has been praised equally for the pedicures available at its brick-and-mortar location in Yaletown as for the expert beauty teams it sends to special events. Cleanliness is their top priority when dealing with feet. Nail technicians unwrap new cuticle sticks as well as new nail and foot files to groom each pair of toes, and their jet baths stay pristine with help from a special pipeless system and a miniature Aquaman with a passion for cleaning. Next on the list are luxurious surprises, including a tincture that transforms bathwater into a warm, softening salve, a scrub glittering with gold flakes, and an ice-cream-themed mani-pedi. 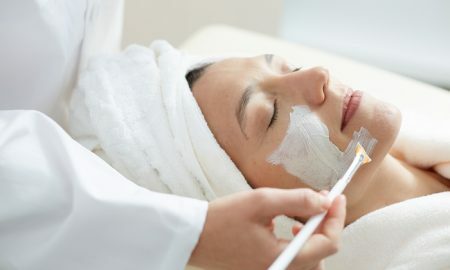 Facials evince the same level of care, as they are tailored to suit each skin type with organic tonics—there is even a biodynamic treatment for sensitive skin. Their mobile services centre around packages that range from 3 to 4 hours, and for weddings, they bundle their hair and makeup with their two in-house specialties into on-location pamperings that last up to 6 hours.